A car can be an extremely prized possession. Car fanatics take pride in their vehicles, from exquisite interior fixtures to the beautiful coat of paint that covers the exterior. Regardless of how much you love your car, you can understand the pain that is experienced when the paint begins to chip or rust. Mercedes-Benz has become widely known for their rust-free paint that stands the ultimate test of time and the elements. Discover more about how the advent of Mercedes paint protection came to be and what makes Mercedes paint superior to other types of vehicle paint. The parts of a vehicle’s exterior are typically made from some sort of steel due to its malleability. When the paint on the exterior of a car is scratched, chipped, or worn away, that exposes the metal underneath. When this is exposed to the elements (including air or rain), it begins to corrode and ultimately rust. Over time, this rust can chip away and create holes in the exterior of a vehicle, which can lead to internal damage. You never want your car to rust: It can be costly to fix! Modern technology has lent a hand to the world of rust prevention. Today’s cars are manufactured with better paints and layers of protective coating to help prevent rust from ever starting. The fact of the matter is, though, that rust can still on cars, particularly if they become scratched or chipped. It is never a good thing when rust affects a luxury vehicle, particularly the beauty that is a Mercedes-Benz. While it is not as common as it used to be, these luxury cars are not invincible to the damage rust can cause. Rust is unsightly on any vehicle, especially a luxury one. Thankfully, luxury brands have come up with solutions to effectively fix rust issues. Mercedes is a brand that has become known for using Permagard, the only aftermarket Mercedes paint protectant designed to keep a Mercedes-Benz in tip-top shape. This innovative paint technology helps protect luxury modes of transportation including planes and yachts. The company was founded in France and today services the aviation, automotive, and marine industries around the world, including Mercedes-Benz. The Permagard coating creates a plastic-like barrier between the original coat of paint and the elements, including acid rain, bird droppings, sap, and ultraviolet rays from the sun that can cause paint to fade. Unlike protective waxes or polishes, this layer adheres to the paint itself to create a stunningly luxurious finish that looks almost like glass. Permagard offers Mercedes paint protection that can keep these vehicles looking like new. The Mercedes logo is a three-pointed star that reminds customers that they are always going to get “the best or nothing.” Mercedes-Benz paint upholds that value day in and day out. You will not find this level of craftsmanship with other auto brands. 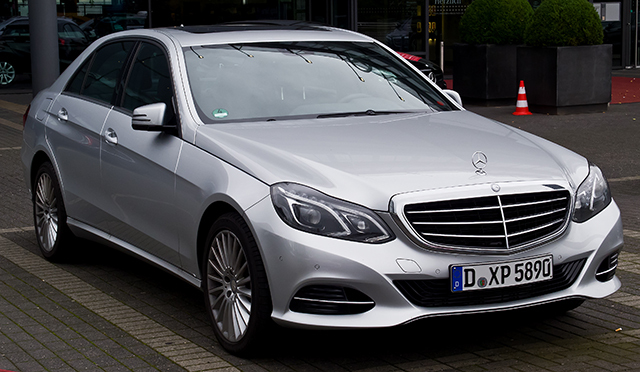 When you buy a luxury car, you expect the best, and with Mercedes-Benz paint, you know you are getting the best. ← Early Car Starters: How Did Old Cars Start?